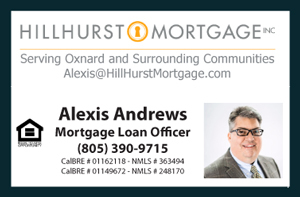 David Tovar with EXIT Realty inviting everyone to come out to my open house this Saturday March 28 from 2 p.m. to 4 p.m. at 1700 Lookout Dr Home for Sale in Oxnard, California. This will be a brief open house where I am going to showcase a property that needs repairs. The price of the property reflects the condition. The seller is motivated and would like some feedback at this open house available for the community and neighbors. Ideal for an investor. This is a 4 bedroom 2 bath single family house with over 1600 square feet of living space on an approximate 6,000 square feet lot with an attached 2 car garage. It is a popular single story model with a spacious master bedroom. The house is part of the Driftwood Swim and Racquet Club with an association of only $70. The property is located in one of the most desirable neighborhoods in Oxnard very close to the beach, schools, shopping centers, coffee shops, restaurants, and more! Don't miss out on this great opportunity ideal for an investor or anyone looking to purchase a home at an affordable price in a great neighborhood. this opportunity has tremendous upside potential. Hope to see everyone there and receive to feedback for the family.